TITLE unleashes the completely new and totally innovative Platinum Perilous line for serious athletes and those that demand the best in their training and workout equipment! 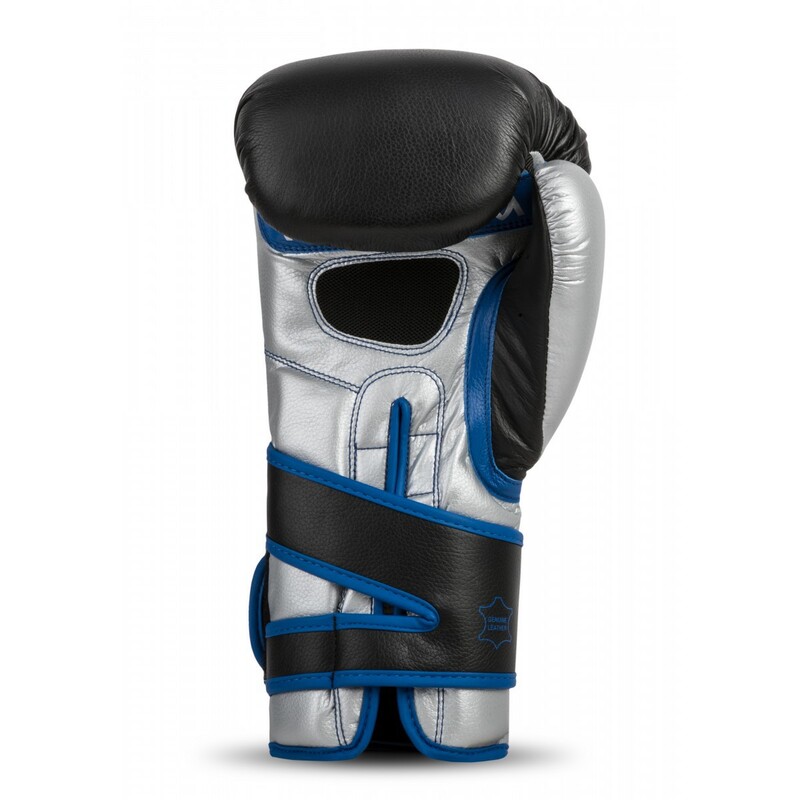 Experience an unbelievable assembly of Platinum IMS molded foam, multilayered underside foams and sandwiched around a thin layer of horse hair for a perfect triumvirate to create the most comfortable, shock absorbing, impact resistant, powerful and stunning training and sparring gloves on the market. The glove shell is covered in double cut, ultra-pliable full grain cowhide leather with stylish contrast stitching for professional results and extended life. Our all new angled anatomical V-Lock wraparound wrist strap with hook-and-loop closure assures a custom form fit every time, plus added wrist support and stability that elite athletes demand in their training and sparring gloves. Extended cuff length and double nylon micro-mesh palm air release assures winning results. A plush, luxurious moisture-wicking hand compartment liner helps wick away moisture during training to keep athletes cooler and drier, even during intense extended action. When you’re ready to experience the extreme in quality and performance -- TITLE Platinum is your only choice!